Looking down the lock gate at Macedon, NY. Geography is NOT an indoor sport! Get out on the Canal! 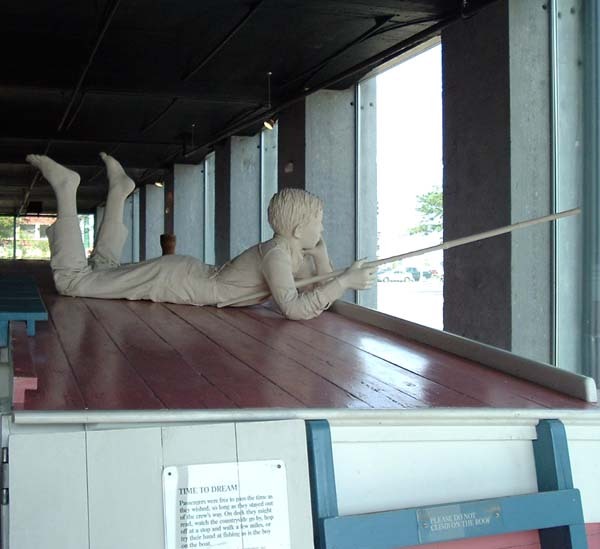 A young boys dreams as he "rides" on top of a packet boat in Syracuse's Erie Canal Museum. 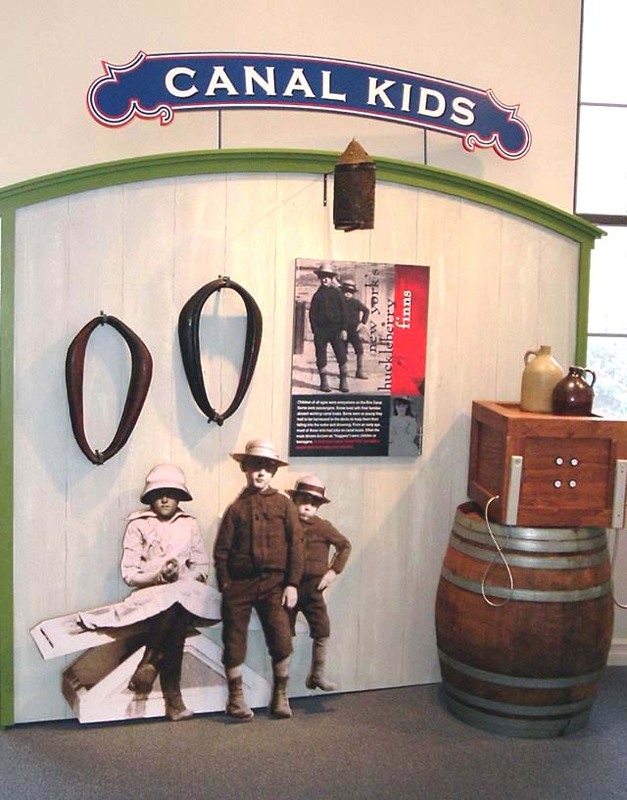 One of the displays in the Erie Canal Discovery Center, located just a short walk from the locks on the Niagara Escarpment in Lockport. Lock 17 near Little Falls is one of the world's biggest lift locks. It cuts through one of the most critical "choke" points on the Mohawk River, where there is a very narrow gap in the uplands of the Applachian Plateau. 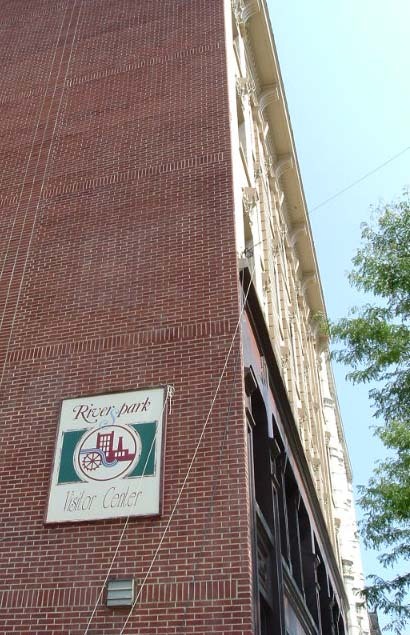 Riverspark Visitor Center is located on historic River Street in downtown Troy. This is a good place to go for an introduction to the Erie Canal in the Capital District. Then you want to cross the Hudson to see the Flight of Five Locks in Waterford. 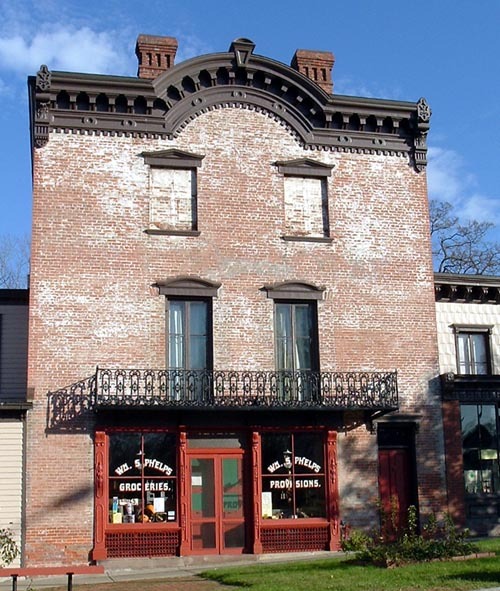 The Phelps Grocery is now a historic museum in Palmyra, the "Queen of Canal Towns." This is one of the easiest villages along the canal to explore. The Erie Canal has been a major focus of my life since 2006. The New York Geographic Alliance asked me to plan a very exciting program for the summer of 2007 called the Grand Canal ExpERIEnce 2007. We invited teachers from all across the state to participate in a week-long geography institute along the Erie's path. 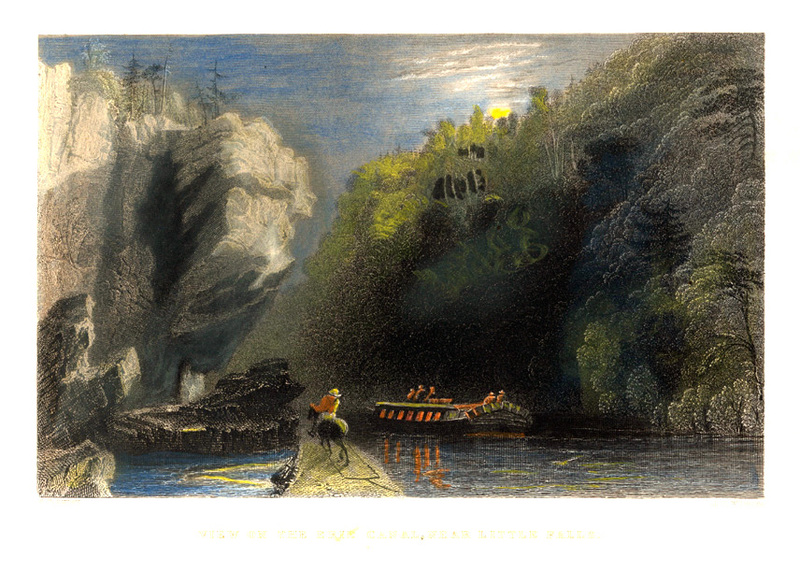 It included time on the water, traveling through scenic sections of the canal, and time on land, visiting the many historic sites stretching from Buffalo to Albany and down the Hudson River. At least twenty different organizations signed on as partners in this venture. 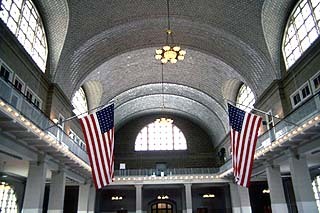 They include museums, boat companies, historical societies, canal towns, the New York State Dept. of Parks and Recreation, the Canal Society of New York State, and the National Erie Canal Historic Corridor. This institute helped the Alliance to re-energize itself. We have over 900 members currently, and number continues to grow. 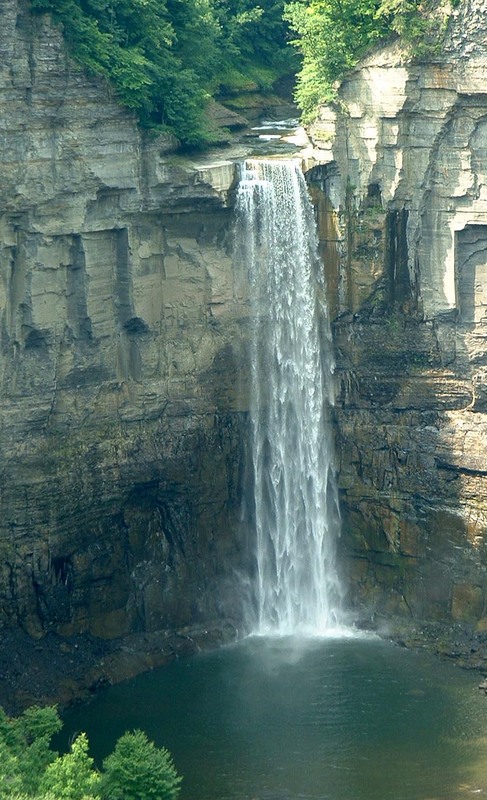 This summer we are sponsoring another summer institute at Cornell University in Ithaca, NY. We call it GORGE-ous Geography Institute 2011. The focus will be on training Teacher-Leaders, but we will also be learning about the Finger Lakes and the Canal Country of New York. If you are interested in being a participant in this institute, visit the website for the New York Geographic Alliance. Click on the LOGO above! Much of my free time has been taken up with contacting canal people across the state. But during the summer of 2006, I have been visiting places along the Erie on both the Old Canal and the modern "Barge" Canal. Yes, the Erie Canal is an active waterway. You can easily travel across much of New York State in a boat, not only from Buffalo to Albany and down the Hudson River to New York City, but also up to Lake Champlain, to Lake Ontario (Oswego), and to the largest Finger Lakes (Seneca and Cayuga). I don't want to complicate matters any further, but there was actually a third canal from the middle to late 1800s known as the Enlarged Erie. 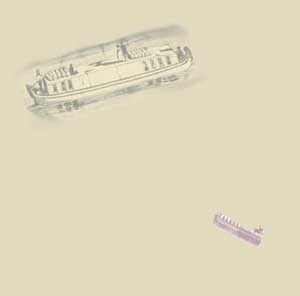 It still relied on mule power, but the deeper water allowed for larger boats with bigger cargoes. Most of the remaining abandoned structures (such as culverts and aqueducts) are from this waterway. Its pathway is roughly the same as Clinton's Ditch. Today's Erie Canal has a similar route from east to west as it did in the days of DeWitt Clinton (the father of the canal). There are a few significant differences, however. The modern canal is much deeper and wider than either "Clinton's Ditch" or the Enlarged Erie. 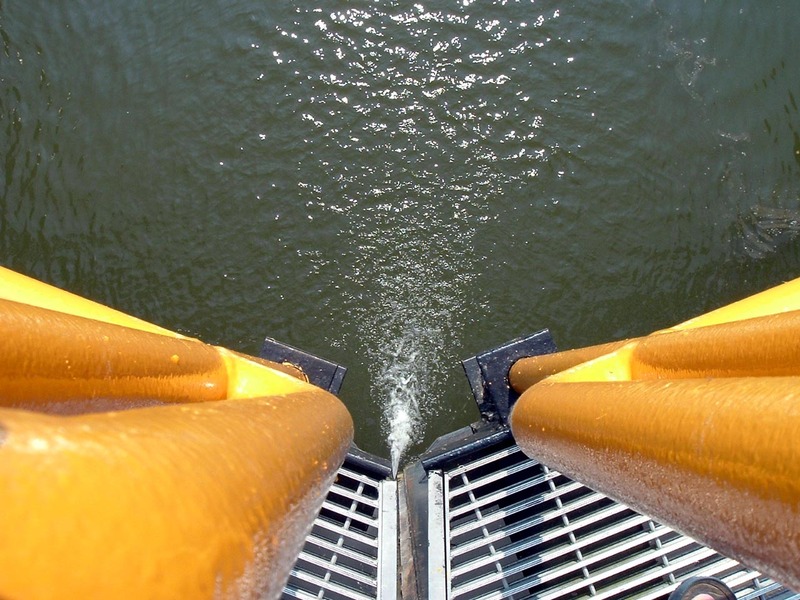 It has motorized canal locks much taller than the original structures. Most significantly, the Barge Canal uses natural waterways for much of the route, including the Seneca and the Mohawk Rivers and Oneida Lake. The older canals were totally manmade ditches. This means that there are several sections where the route of this modern canal is different from the 19th century waterways. For example, the older canals both went through downtown Rochester. Today's canal skirts around the southern and western boundary of the city. More significantly, in Central New York, the original Erie traveled along a nearly level route through the villages of Montezuma, Jordan, DeWitt, Chittenango, Canastota, and Durhamville, as well as the city of Syracuse. The modern Erie completely bypasses these towns, using a natural water route around twenty miles farther north. So, if we are to discover the Erie Canal, we have to visit sites both modern and historic. It is relatively easy to visit the Barge Canal. You can get there by boat, or you can hike or bike in along the towpath trails. 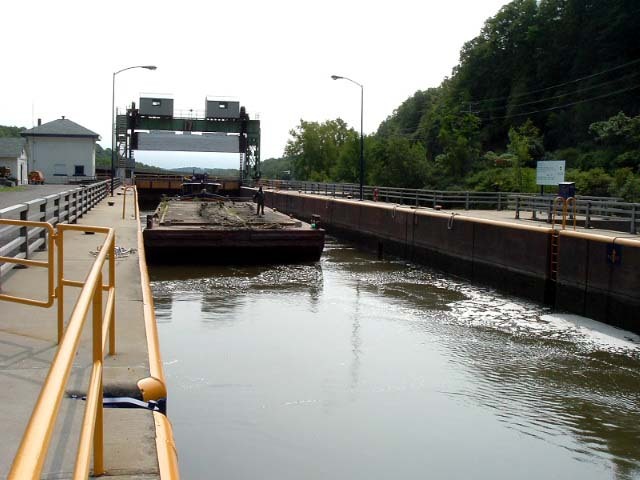 You can also get to most locks on the modern Erie by car. They are fun places to visit, especially when a boat is locking through. The remains of the Enlarged Erie present a greater challenge to a visitor. 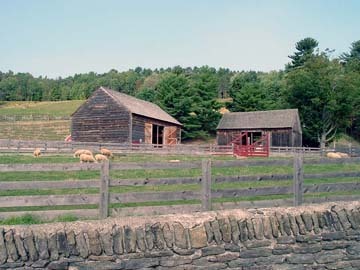 Some of these structures have been left to the elements for over a century. Fortunately, however, state and local governments and private organizations have rediscovered this New York State treasure. Today, a significant section of the abandoned canal (especially in Central New York) is watered. There are trails along the banks, perfect for a quiet stroll or an invigorating bicycle tour. Many stone structures from the Enlarged Erie are still standing, in remarkably good condition. Finally, there are many sites of interest along the Old Erie, including museums and historic parks, helping us in a journey of rediscovery. So let's the hit the road (and the water too), and see what everyone can experience along the canal ways of New York. Click on the arrow to continue!